The entire restaurant seats up to 90 guests, with the main dining room seating up to 55 and the smaller dining lounge up to 35 guests. Menu packages are available for any size, please contact the restaurant for more details. Fresh Rocky Mountain Cuisine at its Finest! 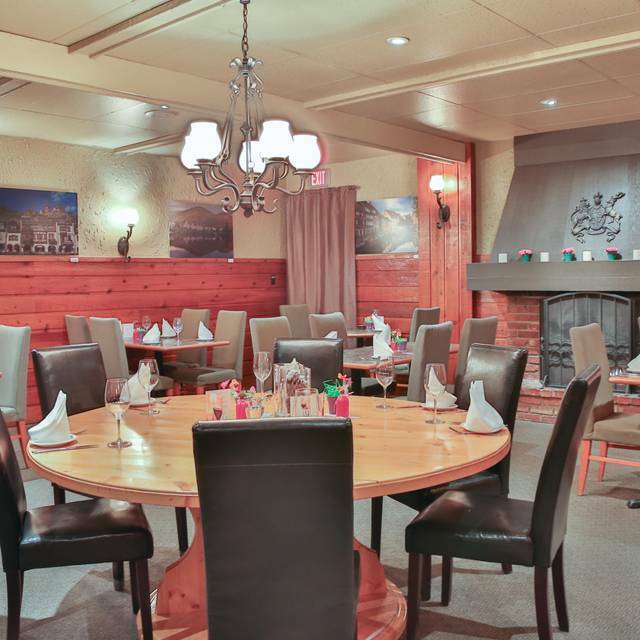 Welcome to the Bavarian Inn Restaurant and a world of taste sensations that are sure to please every palate. 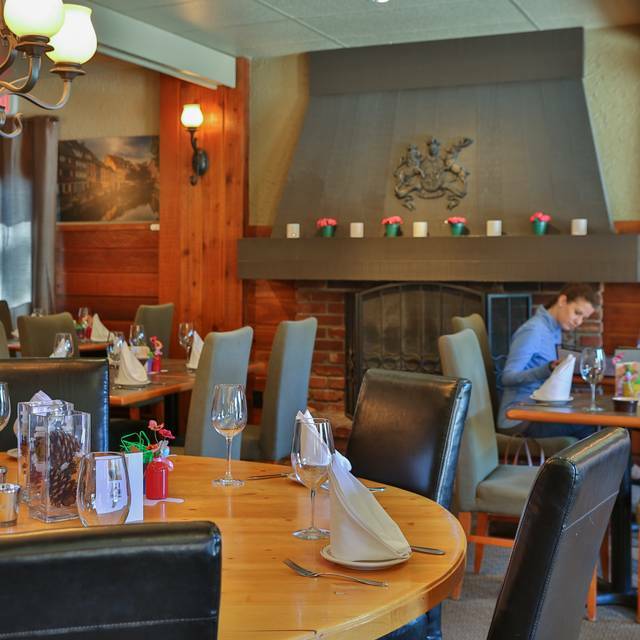 We are proud to say The Bavarian Inn Restaurant has been serving guests for over 40 years. 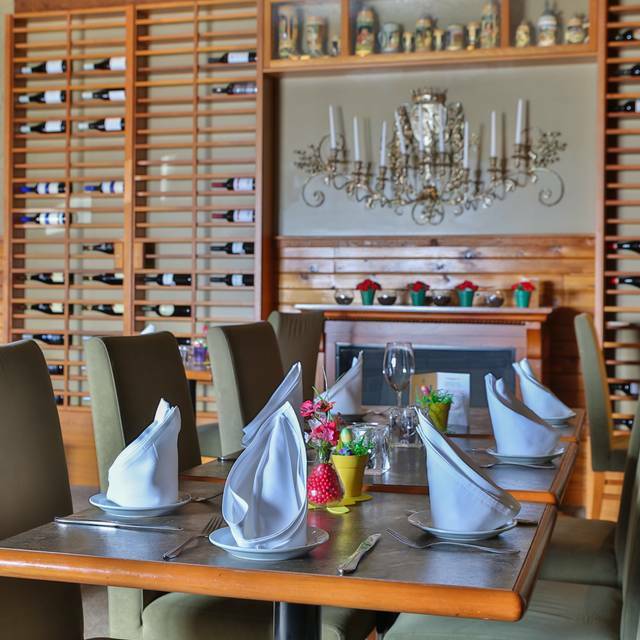 We have kept our décor and menu current with the times to continue to satisfy our guests over the years. 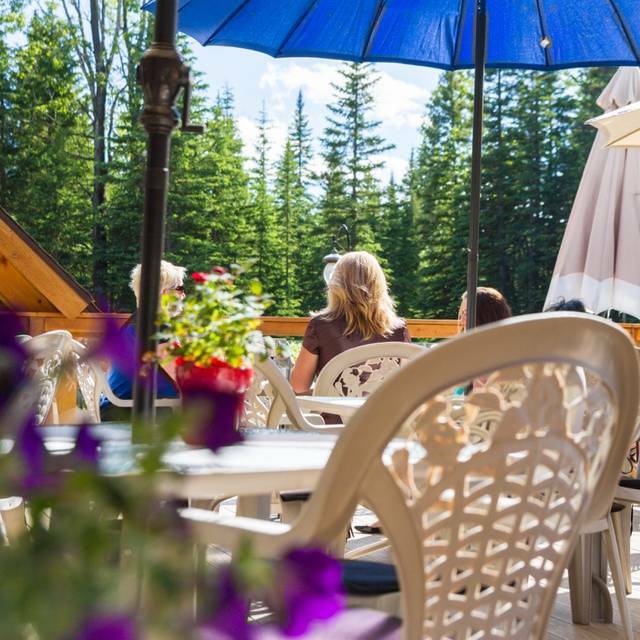 Our beautiful and cozy restaurant is nestled in the quaint hamlet of Bragg Creek, Alberta in the foothills of the spectacular Canadian Rocky Mountains. Our menu items range from classics like the delicious Wiener Schnitzel to seasonal creations. Join us today and start creating more memories with us! Our dinner started with a server, who I’m not sure if she was new or not but she didn’t seem to know a lot about the menu items, as she kept having to go back to the chef to find things out. I ordered the beet with goat cheese salad, I’ve had this salad numerous times at various restaurants and was very disappointed. The dressing was sour, when I mentioned to our server that the cook forgot to put the walnuts in, the server said “no, there’s walnuts”, I had to ask her to come over to look, she didn’t say anything but rather went to the kitchen and came back with the walnuts, with no apology. I then ordered the soup of the day, which she said was Roasted vegetables, I assumed it was root vegetables but it was literally like someone heated up an overly salty salsa. It was tomato base with diced onions and god knows what else, it was acidic and very salty, not palatable at all. All that being said, my husband enjoyed the rabbit, my son the veal cutlets, my son in law had the 3 different sausages and my daughter had baked Brie with mushrooms and salad with Chicken. I personally would not go back, however the rest of the family said they enjoyed their meals and they would consider going back. As far as the atmosphere, it’s alright. I would have thought there would have been more of an Austrian decor, something abit more cozy. The food has changed since our last visit. We ordered the backed brie and the pastry was nice with cold brie? We ordered the beef steak and it was a terrible cut. The steak was tough mostly gristle. The schnitzels looked nice but tasted terrible. And they provided 2 PC of bread for 3 people? The service was great even though they were short staffed. The food was delicious and price was right. Slow kitchen and slow service. Otherwise great food! Thank you for taking time to share your experience. I will share your feedback with both the back and front of house teams. I am so glad you enjoyed your meal! I also thank you for being patient with us as we prepared your food during your visit, as everything is made in house sometimes the wait time is a bit more than we would hope but we hope it was worth the wait! We hope you will join us again to allow us to show you our full potential of quicker service. We have been here before and they did not let us down as it the food was excellent as always, good portions that are very delicious and we took some home too. Servers are pleasant and the atmosphere is good, we will definitely go back again and again. Food, beer and service were excellent. Everybody was very satisfied with our experience at the Bavarian Inn. We enjoyed a great night out! I was initially worried when the old owner left. I was afraid that the new owners would change everything and it would lose its charm. If anything the new owners have improved on the old menu and made it much better. The flavours are all fantastic and the portions are now huge!! I love the new decor as well! A great dining experience is now even better!! Authentic German food in a rustic modern setting. Friendly service. The brunch was delicious!!! Can’t wait to return to try dinner! The food is phenomenal, service is awesome, the atmosphere is beautiful and the portions are big! We celebrated our anniversary there over the weekend and we’re still talking about it to all our friends and family. We will definitely be back “few times”. Fantastic meal, great service, lovely dining room. Highly recommend. Nice atmosphere with a fireplace on one wall. Get a lot of food for your money and a nice selection. Service was nice but had to wait for my dessert drink until I was halfway through my dessert. The food here is amazing, always something different that you would never cook yourself. The combination of foods and ingredients always amazes me. Keep up the great job! We had a very enjoyable evening and the food was amazing, in quality, as well as in price. The wine, a bottle of Cote du Rhone, was very well priced and I would not hesitate to order it again. Restaurant was above average. The meals excellent and large portions. The wine list is not large but covered most varieties. The staff membet was bubbly, informative and knew her menu. The background music was low enough not to interfere with conversation. One our favourite places for special occasions. They have nicely remodeled since we were last there. The food portions are large so prepare to have leftovers. We were having a date night after having been through a traumatic experience and we were still quite emotional. Our server was super and understanding and timed her visits to our table well. We couldn’t ask for better service. The food was very good and portions large. A great spot for a quiet meal in a very small town setting. Nice place! Good food. But the waitress was a bit rush. Not a bad choice. Will go to try the pork knuckle in summer as it is only available at dinner. Beautiful scenery around. We've noticed two mule deer at the parking lot. Quiet and nice area. Nice and cozy restaurant, but...upon arrival our reservation was somehow taken? by somebody else already. Luckily it was fairly empty, so we had no problem taking different table. We went with Sunday brunch menu. They just ran out of fruits, so we were served two plates of fruits for three people. Fair, as it was already past 13:30. My wife ordered Chorizo Avocado Benny. After about 15-20 minutes it arrived without any avocado as they ran out of it obviously. No heads up was given to us about that, so she was pretty disappointed, as she ordered that dish because of the avocado. I've got myself Holstein. Breaded pork schnitzel was excellent and the portion was huge. Both the pan-fried potatoes on my wife's plate and spätzle on mine were barely warm. Service was good, but we left rather unimpressed. Not planning to come back anytime soon. Maybe just a bad luck? DISAPPOINTED -- NOT WORTH THE 35 MINUTE DRIVE FROM CALGARY. Great reputation harmed by poor service (one soup arrives before other soup which was forgotten by waitress; main courses appear before soup is finished to sit on side of table - hardly what one expects from a high quality, well reviewed restaurant) and just terrible main courses of Salmon and Pork Jager. Salmon hardly tasted like salmon, and its smell presented it as not fresh fish - not the first time the author has eaten salmon in his long life, but this was certainly the absolute worst. Two bites taken; ruined the dinner. Pork Jager was equally bad and would not have qualified as a local dish in in any Gasthaus in Germany - over-cooked, dry and tough. Although told otherwise, the very watery clam chowder had chicken pieces in it - claimed to be sturgeon. 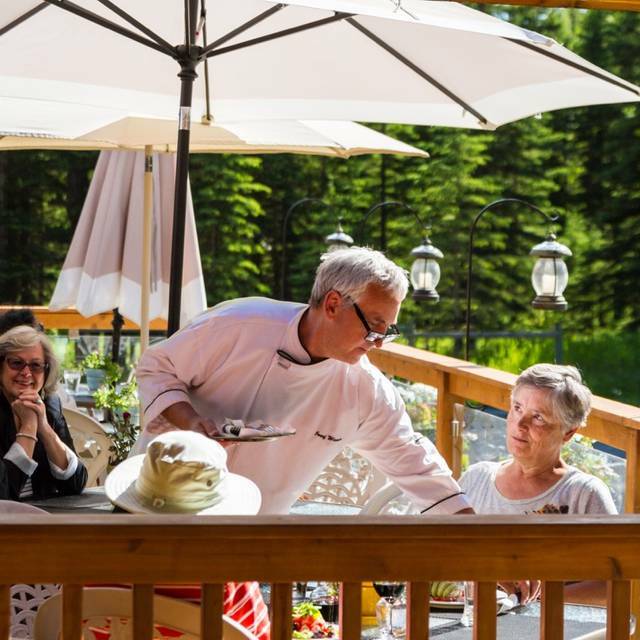 One of the two diners is a chef and knows chicken from sturgeon. To conclude the dinner, even the Apfel Strudel did not meet any good standard. 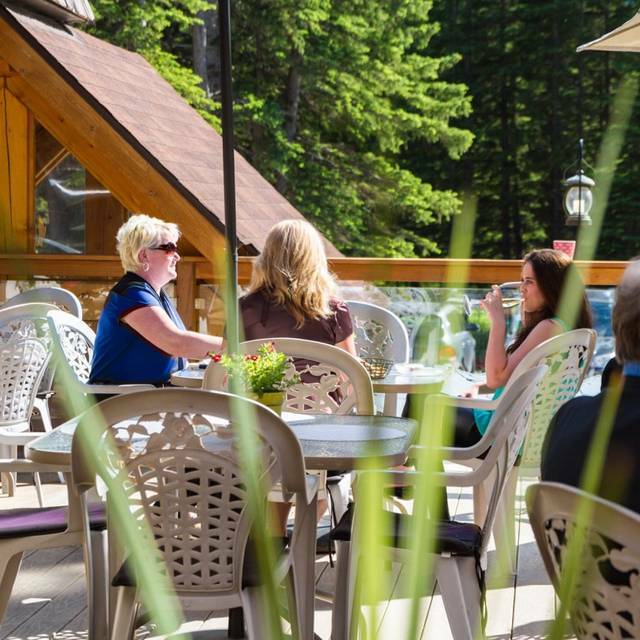 This night for this reviewer, The Bavarian Inn in Bragg Creek was living on its reputation. The food was excellent and the service very good. We had ordered the spatzle in place of the potatoes on one meal and it wasn't caught, but no big deal. It was a little loud with a couple of groups there, but that was to be expected. Our third visit since discovering it in late Aug. Took friends with us (their first time) and they couldn't decide what to order because it all looked so good. One friend said his elk sirloin was the perfect blue! Desserts were fabulous. Friends want to go back again. Talked for days about the food and flavours . Very original . Nice ambiance and comfortable . Conversation levels good and some children at tables . If not behaved can be a nightmare evening but they were quiet. Thanks to the parents that night . You have made a good restaurant more elegant than before you will definitely see us more often. It was a perfect evening. Our family of four had a wonderful time celebrating the Christmas season at the Bavarian Inn. The food was excellent and filling and the service was attentive. It was a nice surprise to find half priced bottles of wine on the menu. I had not been to the Bavarian Inn for several years but always remembered it as being a great place to go for a very special occasion. Monday was a very special occasion for me and a very special friend, and the Bavarian Inn lived up to every expectation. Even the drive out was so good. The service, food and time could not have been better. I was so pleased and my special friend felt exactly the same. Thank you so much,... we will be back again soon. Very good overall. Good portions , and great tasting food. Friendly service and atmosphere. Excellent food, generous portions. 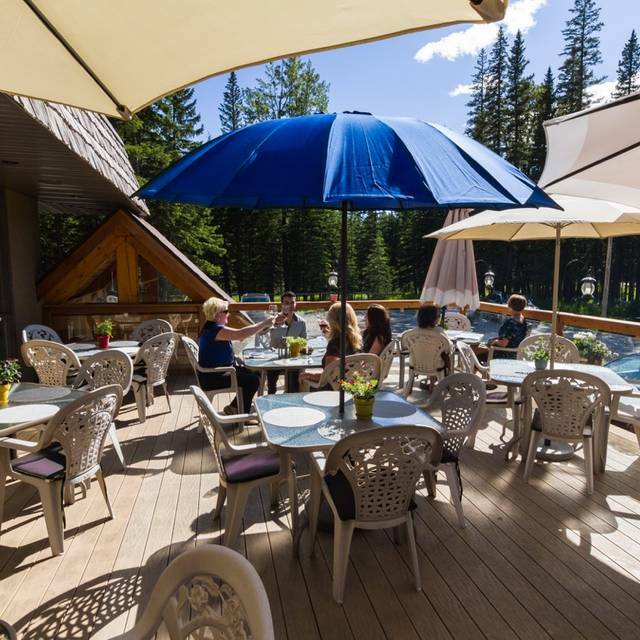 Good hearty German food, definitely worth a trip to Bragg Creek. 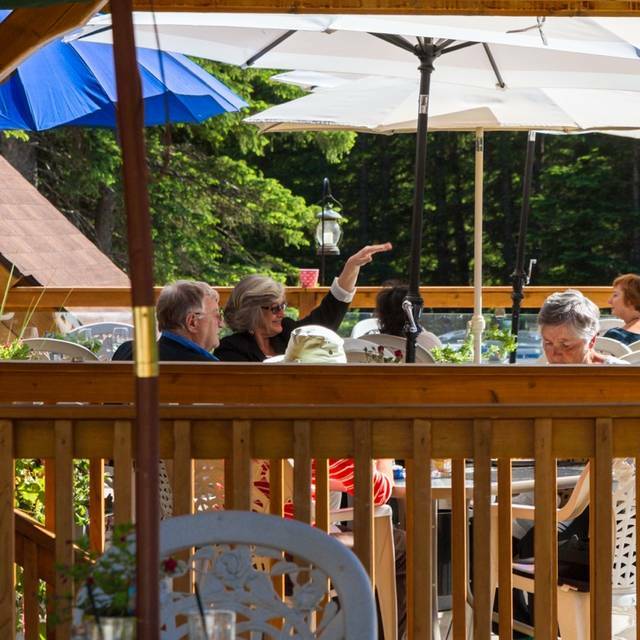 Great food, excellent service, and a pleasant atmosphere. Very enjoyable first visit, will definitely visit again soon! This Restaurant has always lived up to its reputation for fine authentic German cuisine ,friendly atmosphere and great value. Please keep the great standards . Thank You. We have never been disappointed. Food is excellent. And the staff is always friendly. We went last Sunday, November 11. My Mother-in-laws Birthday. We had the best time. She was so impressed with her eggs benny with salmon. Everyone’s meals were excellent. Highly recommend this gem. I can not say enough good things about the Bavarian Inn! 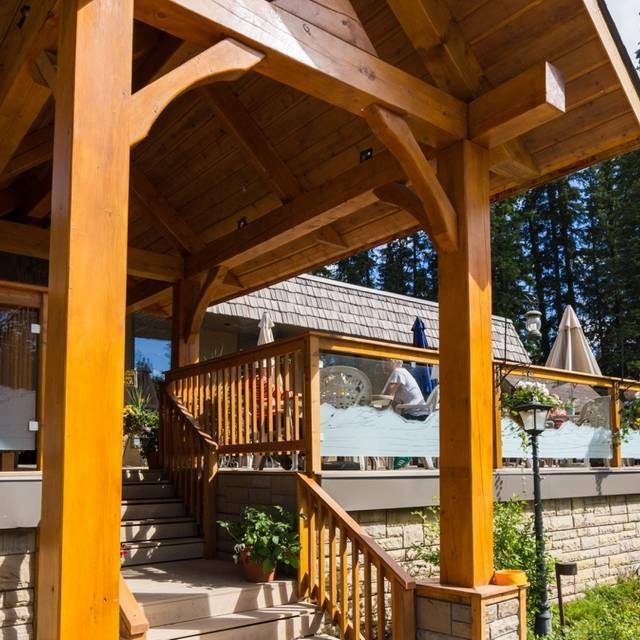 This is seriously one of the best restaurants in Alberta. I had a beautifully done Elk steak. Where else can you get a locally sourced elk steak? The service is outstanding, and the prices are outstanding. It’s more than worth the drive. Try it out!